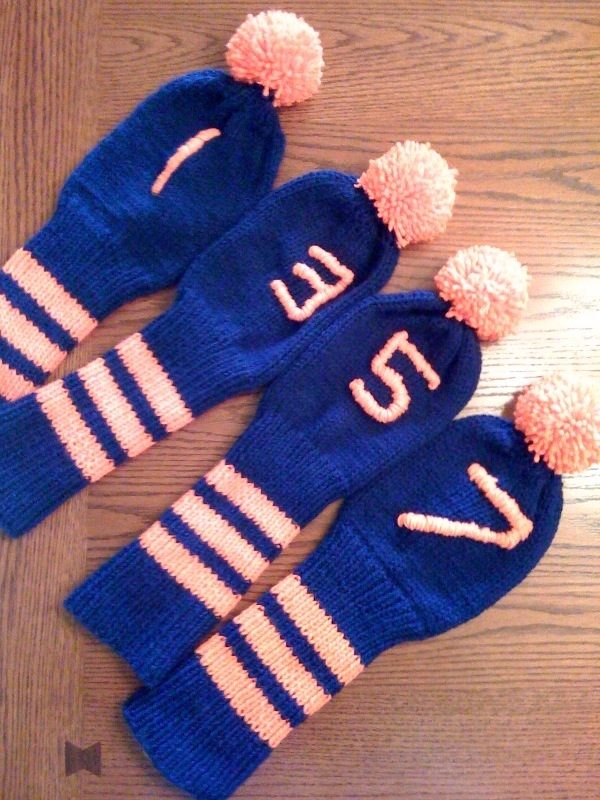 Here’s my latest completed knitting project: Golf club covers for Dad. Decided about a month ago to make them for him for Father’s Day. I found a pattern for them on Ravelry and changed it a little bit to add the stripes and numbers. Pretty easy to do, surprisingly enough. I even found a neat little gadget to make the pom poms at JoAnn Fabrics. Much easier than the one I was currently using. Please notice the colors . . . Chicago Bears! Here’s to hoping that he likes them.